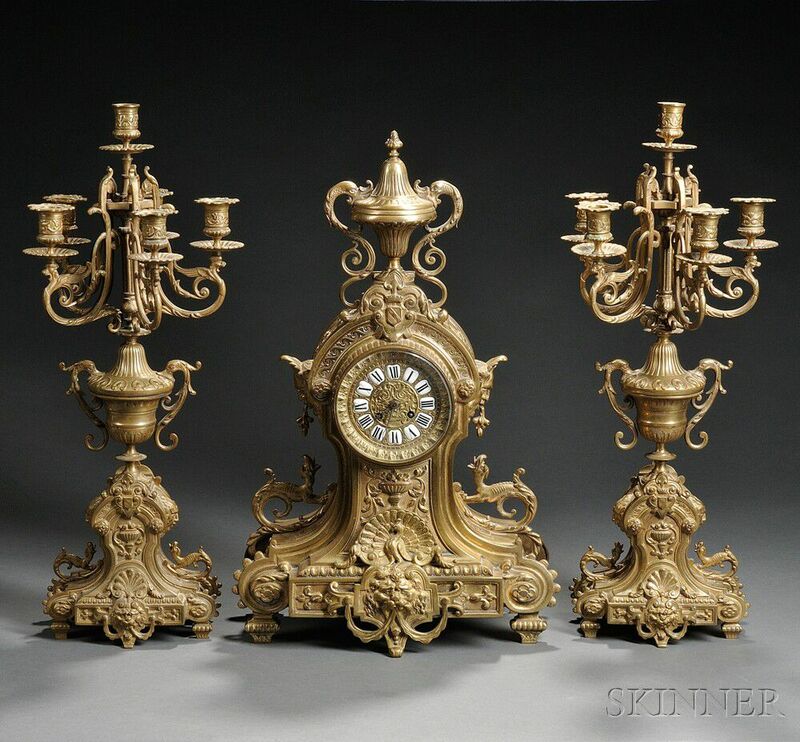 Three-piece Japy Freres Bronze Clock Garniture, France, 19th century, the clock with urn finial and a pair of six-light candelabra with similar urn supports, clock ht. 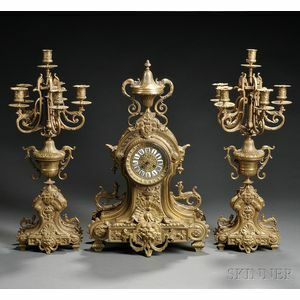 23 1/2, candelabra ht. 25 1/2 in.